Ideal for Small Business, Retail Stores, Restaurants, Hotels, Schools, etc. 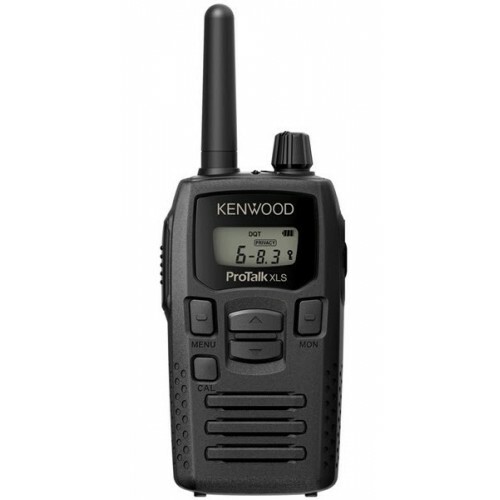 The Kenwood TK-3230DX Radio is a lightweight, compact, on-site two-way radio. This radio’s innovative features make it an ideal choice for businesses looking for a 2-way radio that takes almost no set-up and is really easy to use. Applications such as use in retail, restaurant, small hotels, small K-12 schools, and service industries where simplicity and ease-of-use are most important. All features are menu driven, even setting the channel frequencies! The lighted display gives the user status icons for easy operation. There are 5 function keys plus the PTT key (Push-to-Talk), they come already programmed. The ProTalk® XLS has 64 pre-programmed UHF business frequencies to choose from. There are 39 quiet talk (QT) privacy codes, and 83 additional digital quiet talk (DQT) privacy codes, to separate user talk groups on shared frequencies, making this a true business two-way radio. 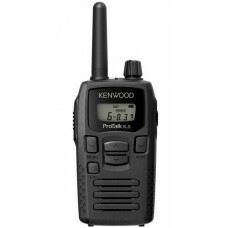 ¹ The Kenwood ProTalk TK-3230DX offers 14 hours of battery life under normal usage (5% TX, 5% RX, 90% Standby). ** This radio is requires an FCC license to operate. We can assist you with getting a license.